Four of the Bishops who signed this statement minister directly to asylum seekers in immigration detention centres located in their dioceses. Bishop Julian Porteous, Auxiliary Bishop in Sydney, supported the opinions of the other Bishops who have direct involvement in the pastoral care of asylum seekers in detention. “Prolonged and indefinite detention in these facilities can only produce psychological damage”, he said. Bishop Gregory O’Kelly SJ of Port Pirie said, “Minister Chris Bowen announced last November that the Government would issue around 100 bridging visas each month for the community placement of asylum seekers. This announcement recognises that prolonged detention does serious harm to vulnerable people. While this brings the Government closer to its 2008 commitment that detention would be used as a last resort and for the shortest practicable time, the dire circumstance of many detainees requires more immediate action. “In Port Augusta we have thirty young people, nearly all minors and some in primary school, who have been in detention now for twelve months, at Christmas Island and there. The secondary school age minors have not been permitted to attend school. They are taught English for one hour a day. Apart from that one hour a day there is only an occasional activity to occupy them. Imagine how harmful the tedium is to growing young spirits. Despite a letter issued by the Minister last September, even though the minors are Catholic they are not permitted to attend the nearby Catholic school. We know that no parent and no politician would want their own children to undergo such a regime for so long”, he said. Bishop Christopher Saunders of Broome regularly visits the remote Curtin Immigration Detention Centre in Derby. Bishop Saunders said, “The mass protests, self-harm and suicide we have witnessed over the years show that the harsh conditions in detention centres do not ensure safe and secure environments and, in fact, add to the trauma already experienced by people fleeing war, violence and persecution. A wide range of health experts and practitioners have identified prolonged and indefinite detention as a major factor in the onset and exacerbation of mental illness. “Detention should be only to establish asylum seekers’ identities and to ensure that they are not a threat to Australia’s health or security. These checks should take no longer than three months”, he said. Bishop Eugene Hurley of Darwin said, “The fact is that the vast majority of asylum seekers held in these detention centres will be found to be refugees, and as such they have a perfect right to be here. That is clear. The real problem is the way we respond as a community. I know so many of these women, men and families. What I have learned is that I should never judge until I know their story and when I’ve heard their story, then compassion is all I feel. “Patrick McGorry, the eminent psychiatrist and former Australian of the Year, recently described these detention facilities as ‘factories for producing mental illness’. I know there is popular rhetoric about turning the boats around. The important focus for me is not the boats but the fact that each boat is full of human beings, whose stories I do not know. This is not a legal matter but a matter of human rights, indeed a matter of morality. I pray that we might embrace these people as so many of our forebears were welcomed. 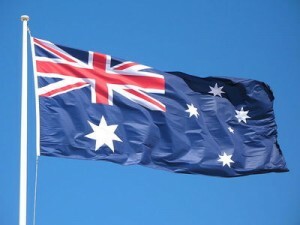 This is the tradition that has made us great and proud to be Australian. We call on all politicians and agencies of government to treat this as a humanitarian issue rather than a political one”, Bishop Hurley said.